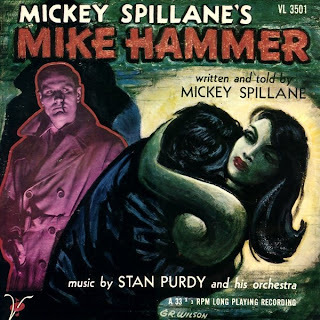 In 1954 Mickey Spillane wrote and performed a Mike Hammer bit on an extended play 45 RMP record which tells the story of how he first met Velda who would later become his secretary. Velda is played by Betty Ackerman with music written and performed by Stan Purdy. 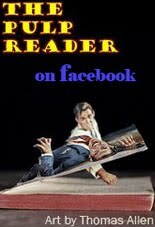 So if you ever wondered what Mickey Spillane sounded like, especially when acting as his quintessential PI, head over to The Pulp Reader facebook page to check it out. 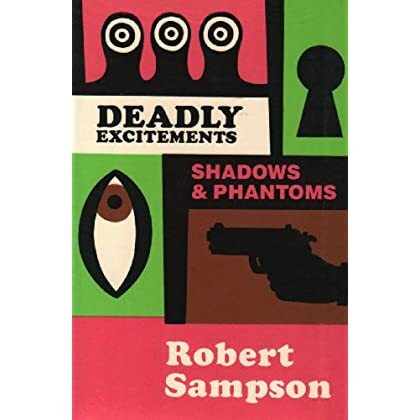 The mysterious yet prolific Robert Sampson wrote a lot of reference books about the world of the pulps. Some are limited editions that now sell for astounding amounts of money, if they are findable at all. Certain books may never come to light again such as his seminal work on Norvell Page's SPIDER. 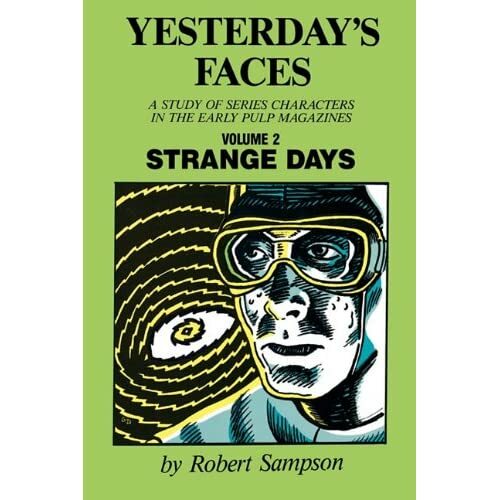 But Popular Press, an imprint of The University of Wisconsin has made available to Google Books several of Sampson's other texts. These are titles which are more readily available on the market, but hey, this is free... if you don't mind reading online. Certain sections of each book seem to be missing, but I'd say 90% of each is present. Click the book TITLE to go to the books! History of the American pulp magazine. 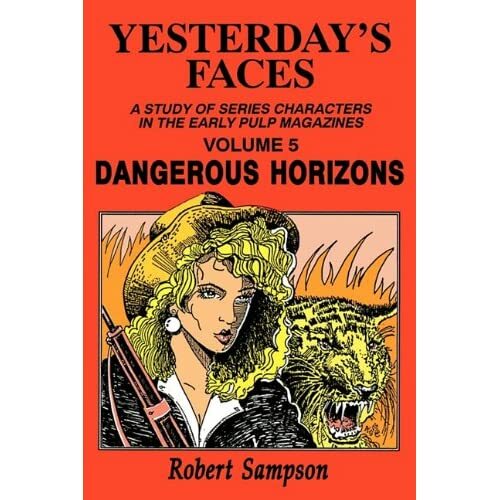 Includes such titles as The Shadow, Black Mask, Weird Tales, Scientic Detective Monthly and Scarlet Adventuress as well as characters like Doc Savage, Captain Future, The Spider, Phantom Detective, The Whisperer and Senorita Scorpion, quick-trigger blonde from Old Texas. 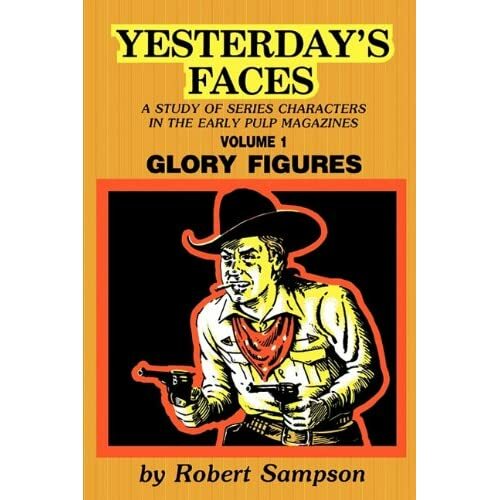 In this fifth volume of the Yesterday’s Faces series, Robert Sampson has selected a host of series characters who adventured throughout the world in the 1903–1930 pulps. Sparkling brightly among these characters are Terence O'Rourke, Captain Blood, and the ferocious Hurricane Williams. More characters include Peter the Brazen, in China, Sanders of the River, in Africa—and much, much more. FOLLOWING THE MYSTERIOUS AND TRAGIC DEATH OF HIS PARTNER, THE CITY'S TOP DETECTIVE, MAX BRADDOCK, RETIRES FROM THE FORCE AND BURIES HIMSELF IN THE BOTTLE. ELEVEN YEARS LATER, AS HE ATTEMPTS TO PUT THE PIECES OF HIS LIFE BACK TOGETHER HE DISCOVERS THAT THE CHILD HE SWORE TO PROTECT THAT NIGHT, HIS PARTNER'S SON, HAS BECOME THE MOST FEARED CRIMINAL MASTERMIND IN THE CITY. 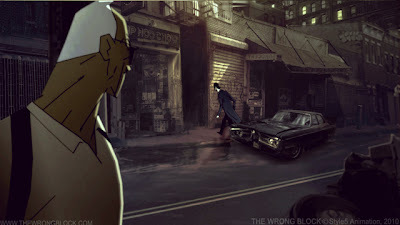 DROWNING IN GUILT, MAX FIGHTS HIS WAY OUT OF PURGATORY AND TAKES IT UPON HIMSELF TO RIGHT THE WRONG HE COMMITTED SO MANY YEARS AGO...WITH THIS ONE LAST CASE. SOMETIMES, YOU HAVE TO GO TO WAR TO ESCAPE YOUR PAST...AND MAX BRADDOCK IS LOCKED AND LOADED. 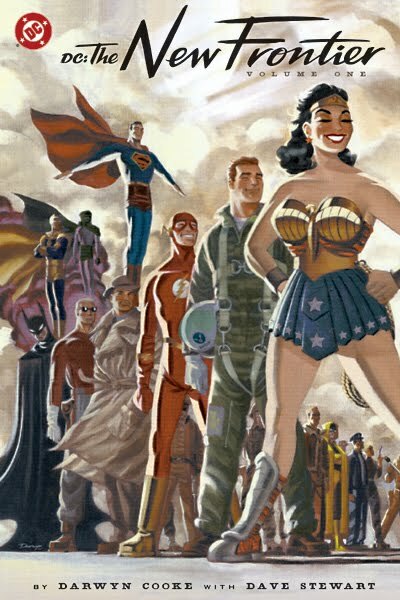 Darwyn Cooke has a wonderful retro yet modern style to his art and has written some of the great stories of the last few years including the remarkable Justice League: New Frontier. Also he was the artist at the forefront of rebooting Will Eisner's The SPIRIT which has been running for a few years now. 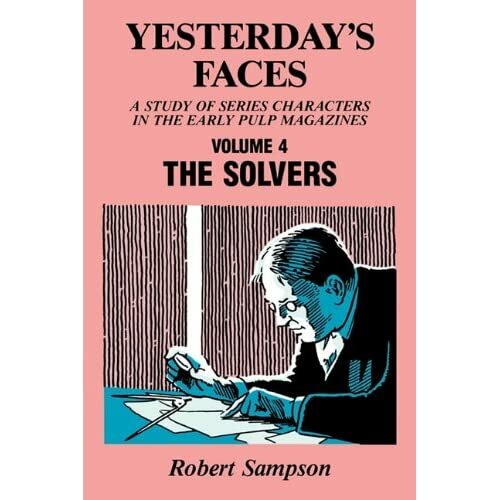 He has now adapted a bit of hard boiled crime to graphic novel format. Usually I don't think comics and pulp go together that well. But from what I've seen of The OUTFIT this might be a good exception. My suggestion is the head to amazon and check out the "Look Inside" preview there. There's a great, in depth interview at Comic Book Resources with Cooke talking all about the production of this latest effort. This is the intro which will give you some background and there's a link at the end for the interview. 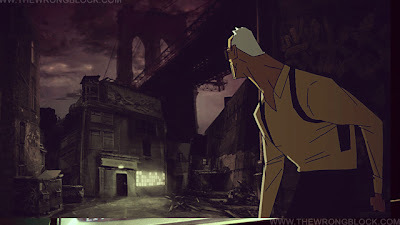 There is no doubt that Darwyn Cooke and IDW Comics took a bit of a gamble when the decision was made to re-imagine Richard Stark's "Parker" hard-boiled crime thrillers into a series of graphic novels. But man, did that gamble pay off. Last year, Cooke landed an Eisner for "The Hunter," which he adapted and illustrated, and the 140-page hardcover book also found a home on "The New York Times" bestseller list. IDW released Parker Book 2: "The Outfit" today and CBR News spoke with the critically acclaimed cartoonist about the title character's latest exploits. Originally conceived by Donald Westlake, under the pseudonym Richard Stark, Parker made his first appearance in "The Hunter" in 1962. The first novel was adapted into three different movies; "Point Blank" starring Lee Marvin, "Full Contact" with Chow Yun-fat and the Mel Gibson vehicle, "Payback." 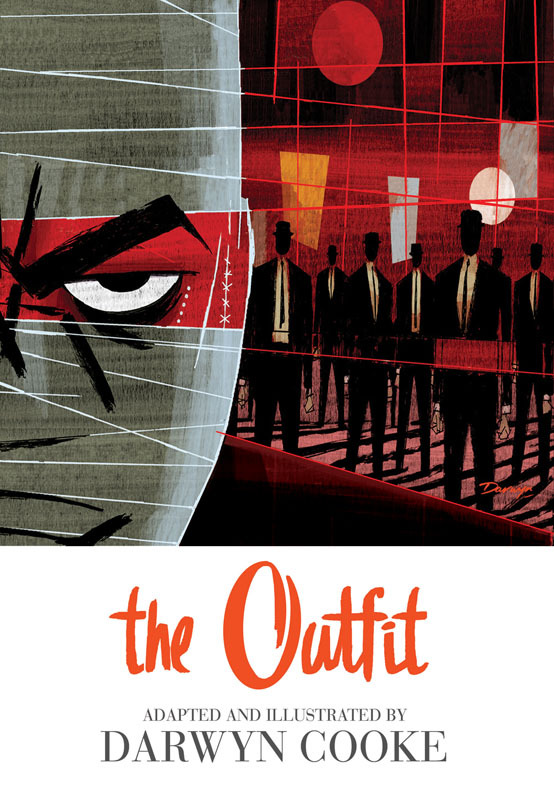 Parker, an anti-heroic criminal, ultimately appeared in 23 novels, including "The Outfit," which was published in 1963. Cooke told CBR News that while he made some changes to the original story, every one of those types of choices was a difficult one. But he believed if he stayed true to Parker, a now deceased Westlake would certainly approve. Or at the very least, understand. He also revealed details about the remaining books in the series - "The Score" and "Slayground" - and teased a possible major project for DC Comics. And no, it's not a sequel to "DC: New Frontier."